The House on Thursday easily approved a measure to overhaul the international mailing system in an effort to shed the U.S. Postal Service’s reputation as an unwitting drug courier and reduce its role in the nation’s opioid crisis. Many lawmakers and stakeholders have for years pushed the reform, which would require USPS to receive “advanced electronic data” on the contents of international packages before they reach the United States, but the Securing the International Mail Against Opioids Act (H.R. 5788) was only brought to a vote after a bipartisan, bicameral agreement broke through last week. Supporters of the measure were hopeful it would help stem the flow of illicit, synthetic opioids from foreign manufacturers through the mail system. The legislation would bring requirements currently enforced on private shipping companies to the Postal Service by 2021, when the mailing agency would transmit the advanced data, or AED, to Customs and Border Protection on 100 percent of international packages. USPS, which currently only collects the data on 40 percent of inbound international packages, would have to pass on the information on 70 percent of packages by the end of this year. The agency would face civil penalties starting in 2021 if it continues to allow international shipments without AED to enter the country. Most foreign packages would face a $1 fee to cover the costs of additional customs processing. The bill would have far-reaching impacts across the federal government. CBP is responsible for inspecting the packages at USPS’ international mail facilities, though investigations can incorporate Immigration and Customs Enforcement’s Homeland Security Investigations, the Drug Enforcement Agency, USPS’ Postal Inspection Service and other federal offices. The House bill would require the State Department to negotiate international agreements that require foreign countries to provide AED before sending packages. USPS, CBP and other agencies would be tasked with collaborating to develop new technology to help customs officers better detect illicit drugs in the mail. The agency currently relies primarily on canine teams to find packages containing illicit drugs. Robert Perez, CBP’s executive assistant commissioner for operations support, told Government Executive in an interview last year that front-line personnel rely on analytics based on synthesized information gathered throughout the government’s law enforcement arm to better identify what to look for when searching for illegal materials. That is coupled with and updated by CBP’s own observations in the field, as officers adjust to the new practices adopted by drug traffickers. USPS was, until recently, not providing that advanced data at all, and despite some pilot programs requiring the electronic information, still does so in a minority of cases. At international mail facilities, therefore, Perez said CBP officers operate on a “much more manual” basis. The agency asks the Postal Service to segregate mail originating from “countries of interest” and then begins a “manpower-intensive” process, including hand-picking out questionable packages and putting them through x-rays and other technologies front-line personnel employ. Those individuals are looking not just for narcotics but violative content that runs “the full gambit of the CBP mission,” Perez explained. “They’re the best at what they do,” Perez said. But still, private carriers shipped 50 million international packages in 2016, compared to 600 million from the Postal Service. Lawmakers on the House floor Thursday repeatedly shared stories of how the opioid crisis, and specifically synthetics such as fentanyl, had ravaged their districts. Still, the measure did not win universal support. Critics at hearings over the last two years have said that many countries do not have the capacity to provide the advanced data the bill would require and its passage would effectively shut off the shipping of packages to the United States from those areas. Rep. Danny Davis, D-Ill., voted for an earlier version of the measure in committee but on the floor criticized the latest iteration after he said Republican leadership insisted on the civil penalties on USPS without assessing their impact. 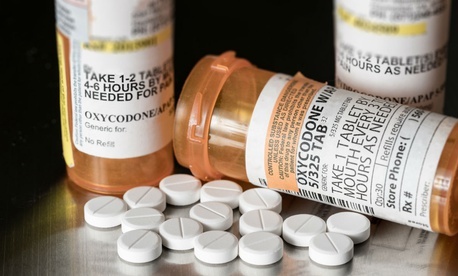 Paul Steidler, a senior fellow at the Lexington Institute, a right-leaning think tank that has for years sounded the alarm on the Postal Service’s role in bringing opioids into the country, said trends in international mailing will require most nations to collect and transmit AED within the next five to 10 years. In the meantime, he said, mailers from any country will be able to pay extra fees to send their packages to the United States, making any concerns on that topic illegitimate. “These are very reasonable measures that need to be completed,” Steidler said. “This common-sense legislation will close loopholes in the international mail system currently being exploited by drug traffickers to ship dangerous synthetic opioids, like fentanyl, across our borders,” Bishop said. “This bill would improve the security of the international mail system to prevent abuses by those who would use it to smuggle dangerous opioids and other illicit substances into the United States,” the administration said in a statement.